The festival also maintains a very interesting geographical balance, always featuring local work. This year it has been represented by Brouwerij De Leite -present in the last editions of the BBF- Brasserie Du Brabant -after sampling its Saison, we hope to recruit them for next editions- and the hosts, Hof Ten Dormaal. 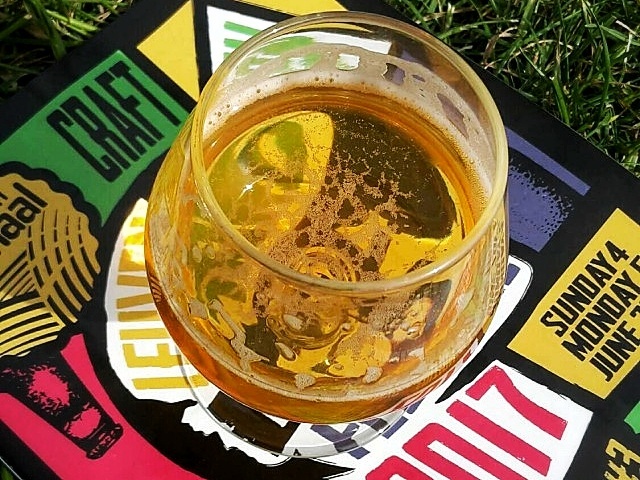 Additionally, the festival invites American breweries in each edition. This year one could find the surprising Brazilians of Way Beer, with their 'Sour me not' series; and the North American Oxbow Brewing -which we have sporadically seen in our country- and Scratch Brewing Company. The latter is a very small project of 700 annual Hl, with a huge link with its rural environment. All their beers are memorable. To pick one, let us highlight Chanterelle Bière de Garde, made with mushrooms collected by the brewers themselves in the surroundings of the factory. At European level, this year we were able to enjoy the crafts of Italian brewery Barley, English Meantime and Weird Beard, Dutch Jopen or Danish HornBeer -well-known locally for its Carribbean Rumstout, among others-. Also the beers of Swedish brewery Tempel Brygghus, Polish Pracownia Piwa -their Tango z Mango was undoubtedly one of the most spectacular beers of the festival- Russian AF Brew and Czech Brevonov Monastery Brewery, with whom we were delighted to meet again. Their Coffee Lager was the big star of the second BBF -in 2013-, and we had lost each other’s track. Take it for granted, they are 100% confirmed for the Barcelona Beer Festival 2018! Noteworthy on their own were Art Cervesers, as Catalan representatives in the festival. A brilliant example of how you can be definitively innovative by doing much more than simply exploring the limits of styles. Known for their long work and study with yeasts, in this edition they changed their focus and surprised with their work on 'malts', so to speak. 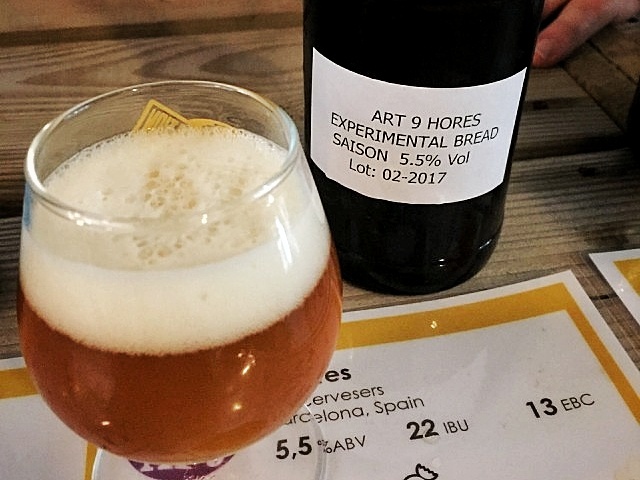 They caused a great impression with their 9 Hores -a Saison made with stale bread- or Experimental RBKM 1.0 -made with malted rice from the Ebre Delta-. On the other hand, we bring back home great inspiration from BeerHive, enthusiastic beer people who have developed an app halfway between Untappd -for its nice and careful design- and Ratebeer -for its content-. We at BBF have the concern to present more friendly information on the beers we offer in each edition of the Festival: more visual, but without losing the content that we provide year after year. What do you think, would these templates do the job? In short, a fantastic festival in Leuven: a city that exudes beer culture. Few cities are so appealing for beer lovers. Be sure to mark it on your calendar for 2018!